One of the greatest threats to the Church today is witches. Since the days of the first apostles, the Church has had to go head to head against those who use occult powers to manipulate the laws of nature in an attempt to stop the Church of Jesus Christ from advancing in power. Conversely, the greatest threat to witches in the world is an alert, aware and Holy Ghost empowered Church. Witches have battled against the Orthodox and Catholic branches of the church for centuries; and now the baton has been passed to you and I to take up fight as we push the gospel of the Kingdom of Christ further in our generation. If you as a believer in Jesus Christ don't understand the reality and prevalence of witches and the working of occult power, you are already at a disadvantage because you are locked in a battle against someone you don't even know is fighting you. Learn who and what your enemy is. And learn how to fight effectively against this end times onslaught of witchcraft, deception and spiritual darkness. I bring to your attention my newest ebook. 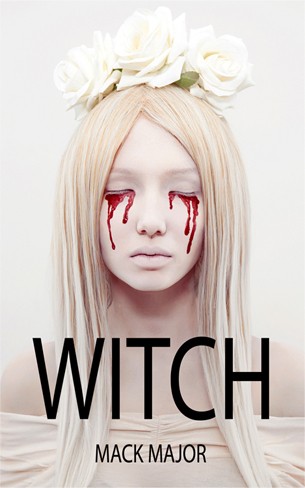 It's simply titled, WITCH. And it's about identifying those who sit among us, break bread with us, attend our worship services and Bible studies: who are on assignment from the Enemy as fully functional and operating witches. Many churches cannot grow and progress any further because of the presence of witches. As long as those witches are being tolerated, Christ will not allow that ministry to grow. Learn how to identify and purge your work and ministry from the presence of these agents of darkness. Witches are behind the abortion issue. They are teaching our children from kindergarten through college. They run Hollywood and music industry at the highest and most influential levels.You'll be surprised at how many well known celebrities are practicing witches. And I'm not using the term 'witch' as a metaphor. I'm talking about real spell-casting bonafide witches! They're all around us. But God is doing something unique and powerful in our midst. He's snatching the covers off and bringing profound and open judgment against the forces of witchcraft in America and around the world. The way is being prepared for the return of Jesus Christ. But before its all said and done we will have to confront the darkness and overpower it with the power of the Light we carry.